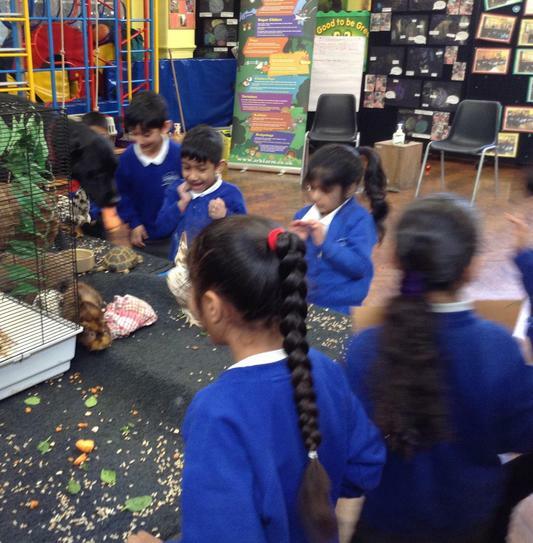 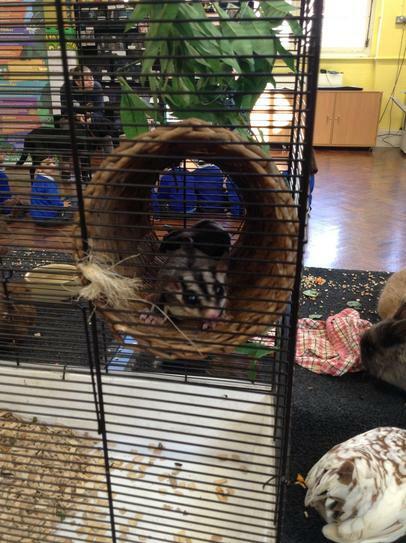 Ark Farm visited Reception and Nursery; they bought with them a range of furry animals. 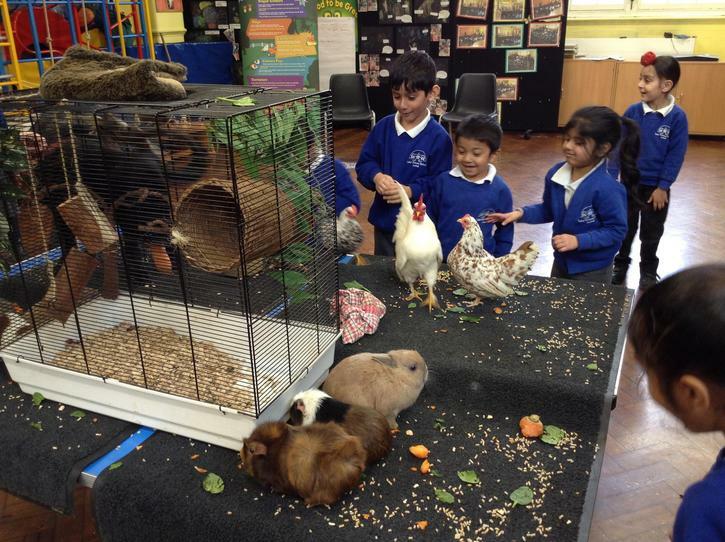 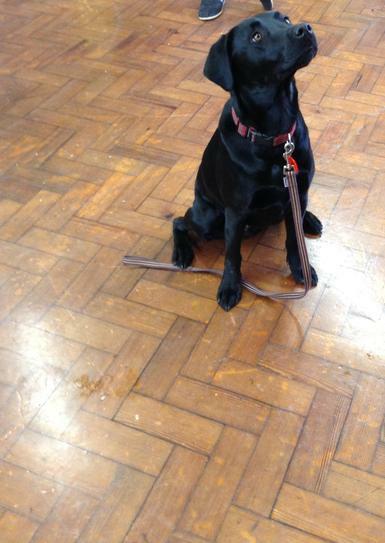 The children really enjoyed learning about them. 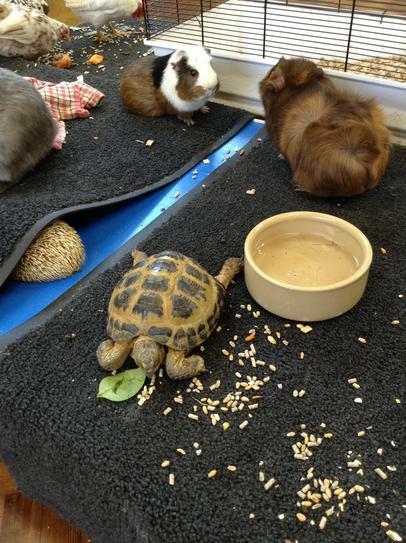 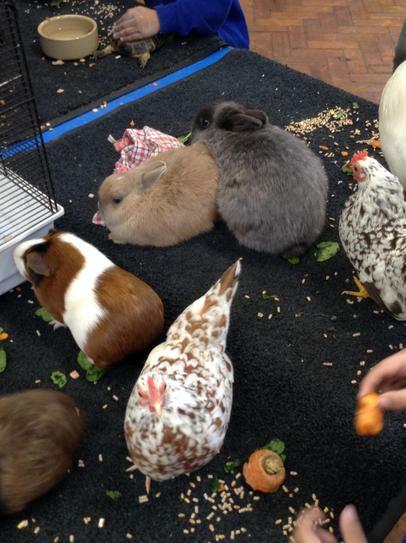 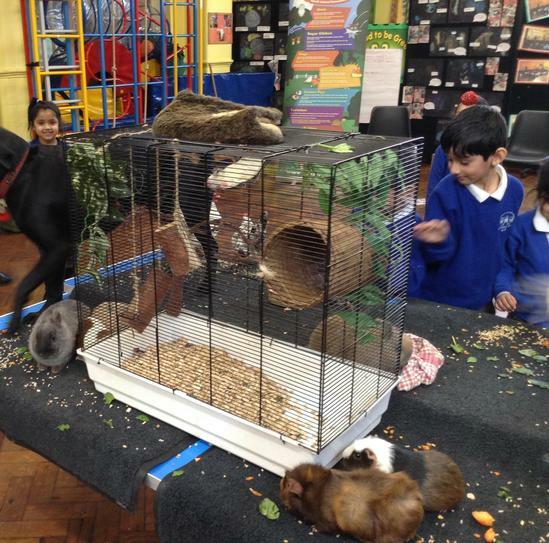 We had Rabbits, Hedgehog, Sugar Gliders, Owl, hamsters, chickens and a dog. 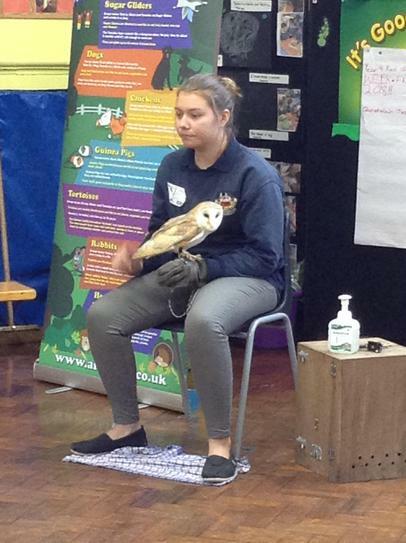 The children were taught after touching the animals they must wash their hands immediately and not to touch their faces. 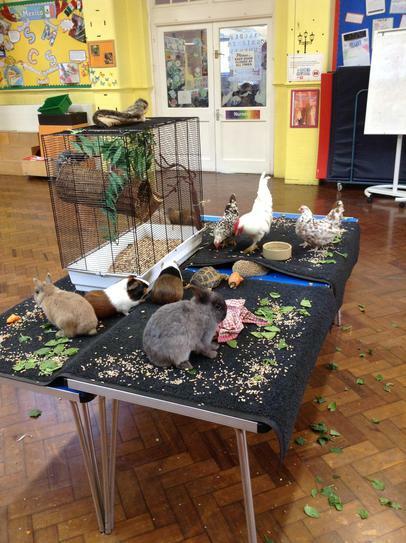 All the animals were put on the table to make it easier for the children to see and touch. 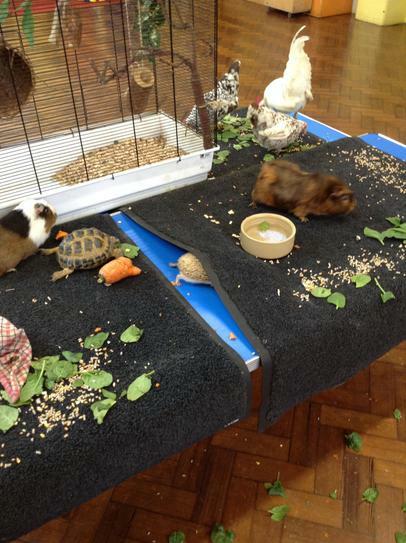 The dog was very well trained, sat amongst the animals on the table and enjoyed his carrots. 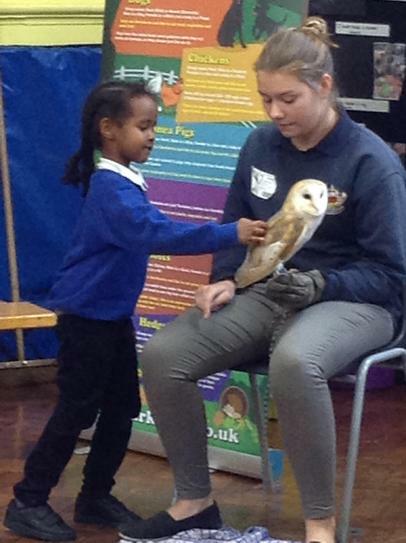 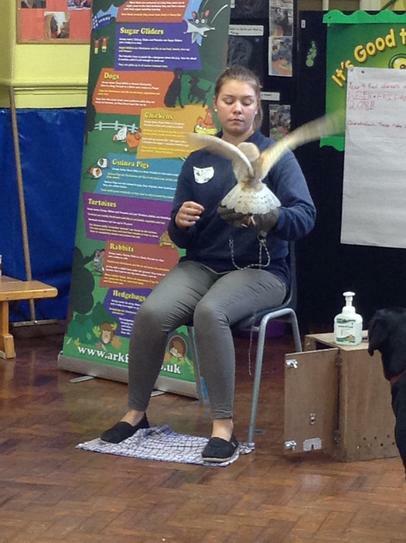 The owl was kept on a lead, the children had to be very quiet as the owl’s hearing was very sensitive.